We provided a Mission Discovery and Adventure Week for 24 deaf children and young people aged 8-15 and 12 were aged 16-18. This took place at Blairvadach on 1-5 August 2016. We provided a 4-day group summer activity programme for up to 30 children and young people with cerebral palsy and related conditions. This physically active and challenging programme, led by therapists, aimed to provide fun activities to help improve the children and young people’s functional postural and mobility skills, enabling their parents/carers to get a break and/or spend time with siblings. Milan provided a fortnightly Carer Support Group for carers of older people. Carers meet in a calm environment where they had some quality time for themselves outwith their pressurising roles and had the opportunity to meet others in the same situation. We delivered adaptive bike sessions for disabled communities across Scotland promoting all-inclusive cycling to young people with disabilities and additional support needs. Bike buddies, support staff, trained staff and volunteers took part in, Cycling Scotland’s accredited Group Cycle Ride Leader in preparation for more sustainable services. We provided a weekly social club for isolated young adults between the ages of 15 and 19 years so they can socialise and participate in a range of different activities, take part in regular outings and to try out new activities. We provided monthly family support groups for families with children affected by Spina Bifida and/or Hydrocephalus in 3 localities across Scotland. We provided fully accessible play and support for the children whilst parents/carers had a break from their caring role and time to get together with others with shared experiences. We organise special breaks for our families. The children and young people we support within these families have cancer or leukaemia, a long term or incurable disease. CCLASP support over 500 families in Scotland and the provision of special breaks is dependant on funding. The One Step Project provided support for young people with epilepsy in and around Edinburgh in the form of 1:1 meetings, groups, outings and residential trips. The support to the young person provided respite for parents and carers, many people with epilepsy are heavily reliant on carers and family. 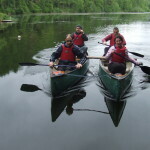 Outward Mobility is a short trips project that offers breaks for adults with learning disabilities. Part of the aim of the project is to provide respite for the young people as well as their family and carers. Upward Mobiliy strive to offer new opportunities, increase independence and new experiences during our trips. "One child said that the group made her proud to have a brother with disabilities"